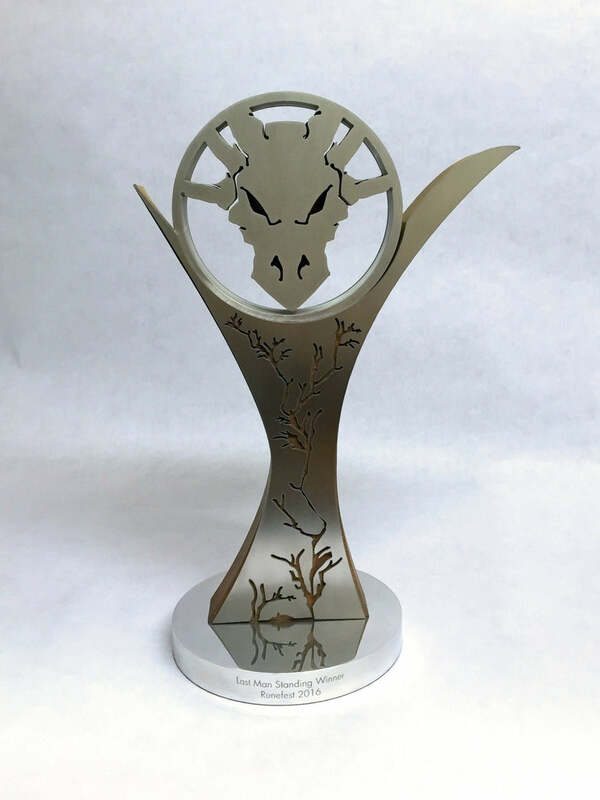 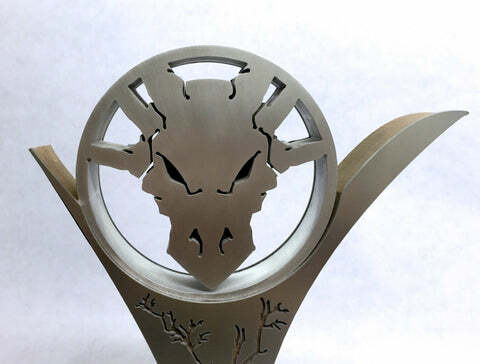 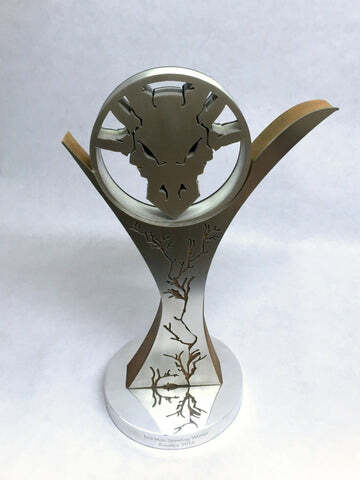 A dragon's head is cut from thick, satin finished aluminium and mounted onto a wood and stainless steel profile. 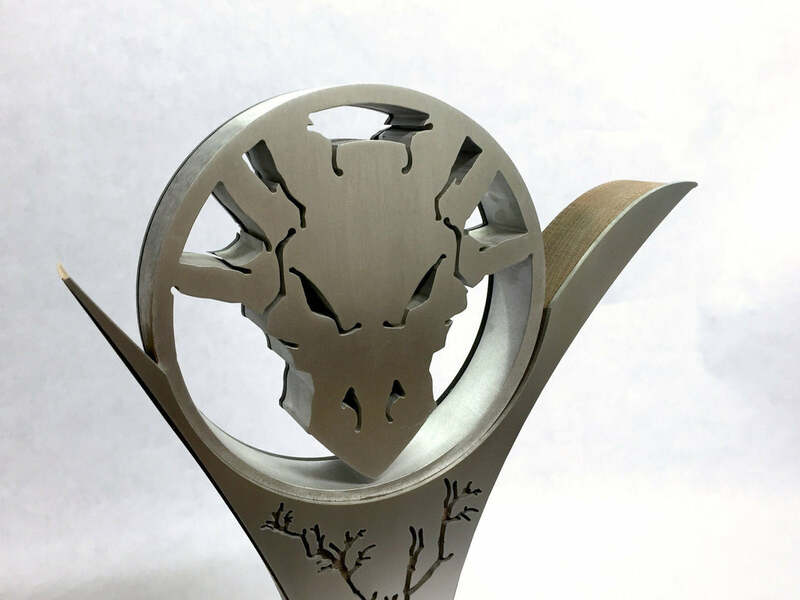 The stainless steel has the outline of tree branches cut straight through. This is all mounted onto a polished aluminium base.